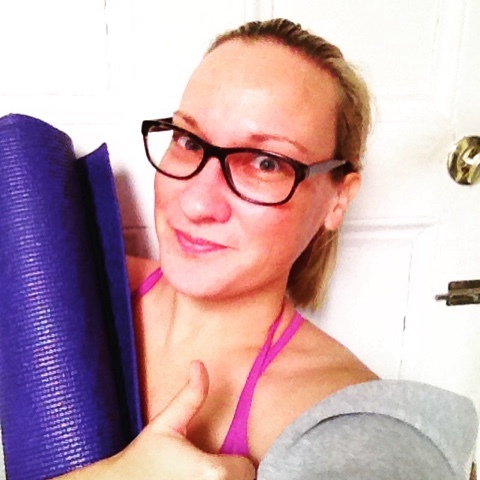 I started getting back into yoga in the fall, mostly out of frustration. I needed mental clarity and needed to move my body but it turned cold and my long walks were just no longer possible. Enter yoga! I was doing it 5-6 days a week and then the holidays came. The weeks before and after Christmas saw little exercise and then eventually a few days after Christmas, the plague...er...flu...came upon me. About nine days later, I made this video. That I then held onto for a few weeks before recently posting on my YouTube channel. I was too sick to start doing my 30 days of yoga on the first of January. However, I did start a few days later. And yesterday, the 21st of January, was my 15th yoga workout for the year. 15 days of getting my fanny to the mat in just 21 days! While that might sound trite to some, that's really a huge step for me. I'm trying hard to focus on my mental health this year. I want to be a better human so that I can be a good partner in every other aspect of my life. I see such a positive difference when I tuck my cuckoo in her clock daily. I react better, I absorb information better, I am have more positive thoughts, I feel stronger and braver. I still don't feel love towards yoga. Let's keep things honest around here...yoga and I aren't making googly eyes across the room at each other just yet. Currently it's more of a grit your teeth and be nice to the sort of sweet but also sort of annoying neighbor across the street sort of relationship. But I really love all of the benefits I am finding in so many aspects of my life when I practice daily. So I press on. So I am half way to my 30 days of yoga goal. It won't be done in the first 30 days of January, nor will it be done in a total of 30 days. But I will come close enough on both to be really proud of myself. I'm learning, leaning in, pressing on, and saying yes! This is, after all, my #yearofyes. Tell me about your January so far. Have you been working on any goals? Is it going well? Are you giving yourself space to be imperfect but still accomplish things? I don't love yoga either. I usually do it when I can't fit another work out in! I don't think I set any goals for this year! Maybe I should start now...ha. Way to go! I have already fallen off my 30 day pilates challenge. I need to get back in gear.